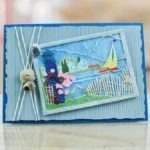 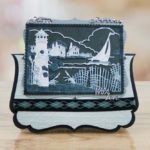 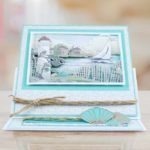 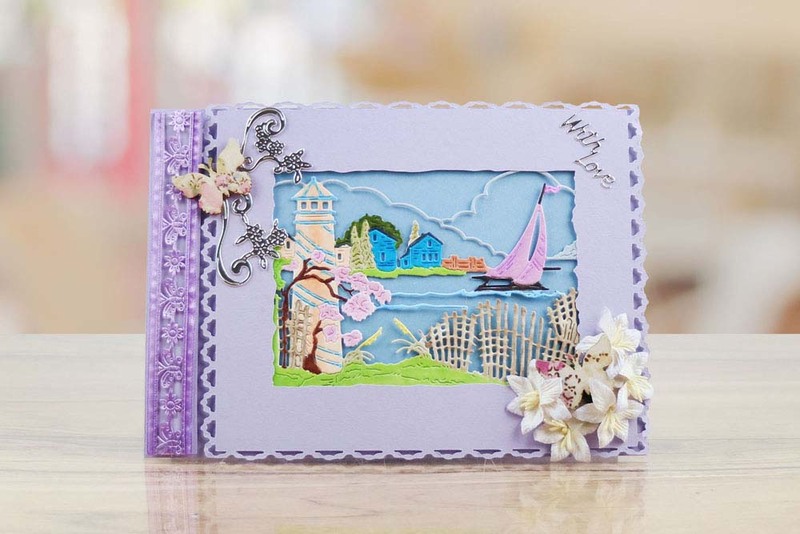 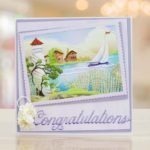 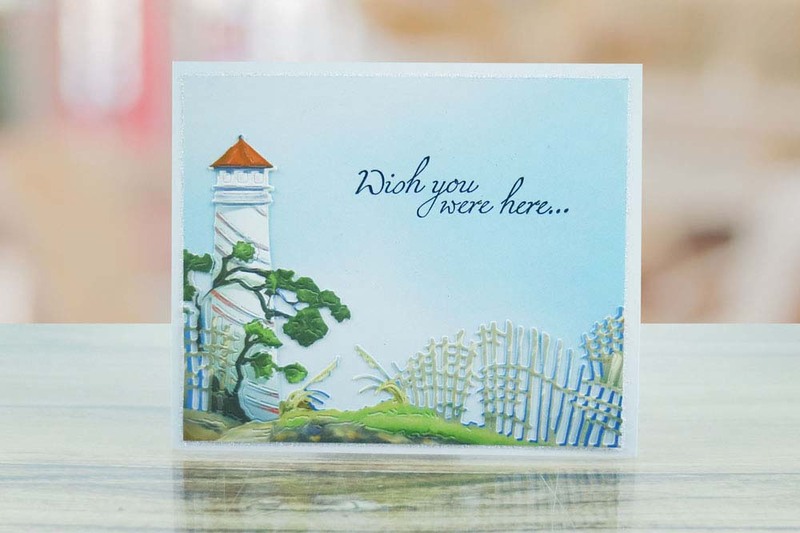 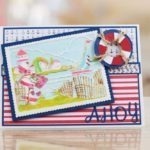 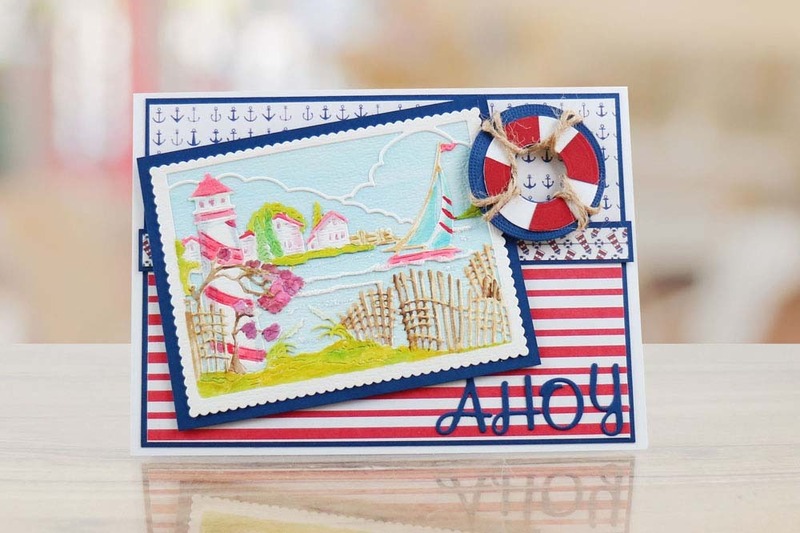 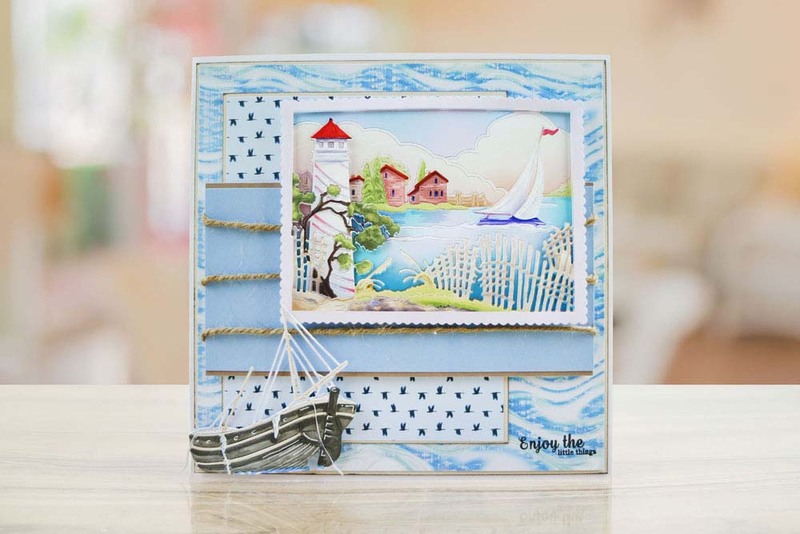 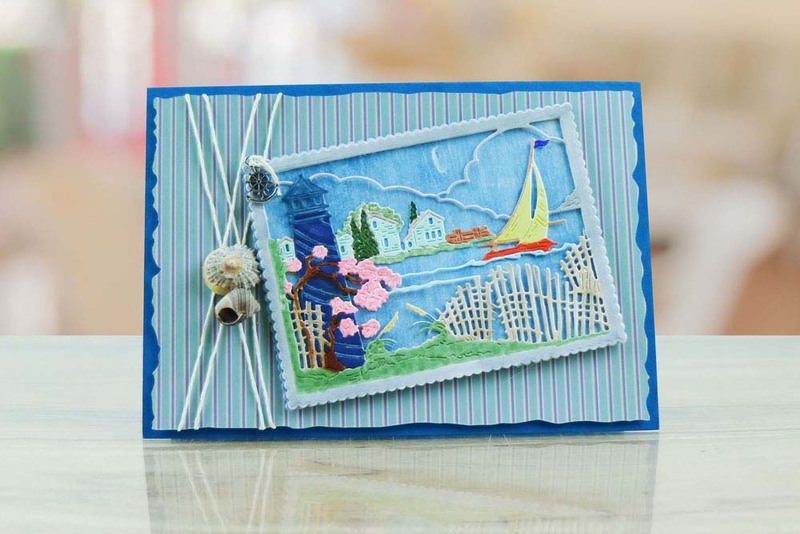 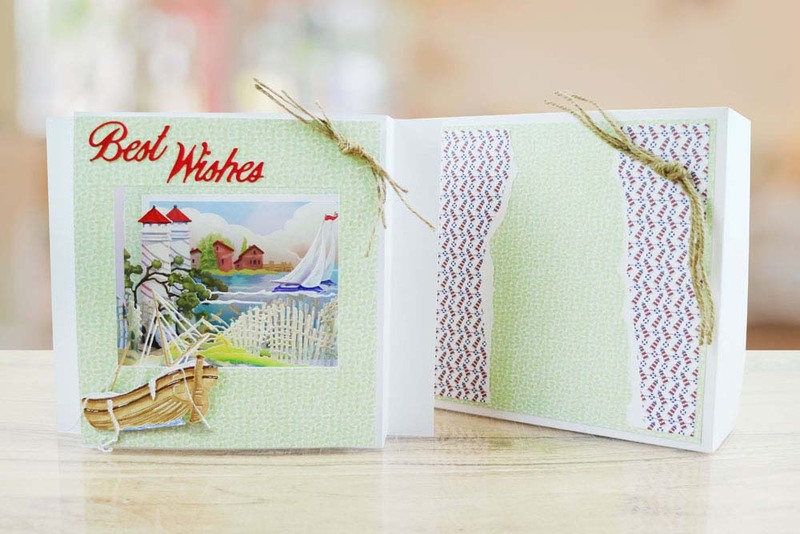 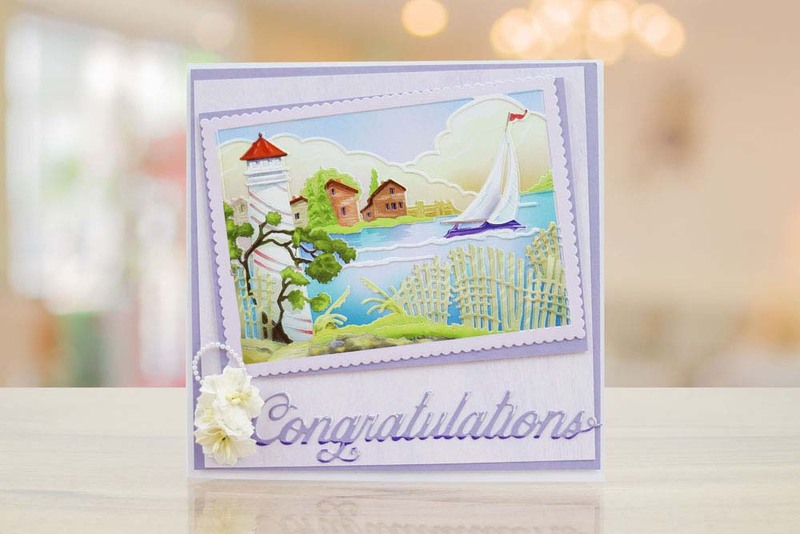 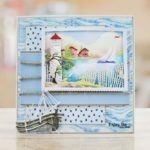 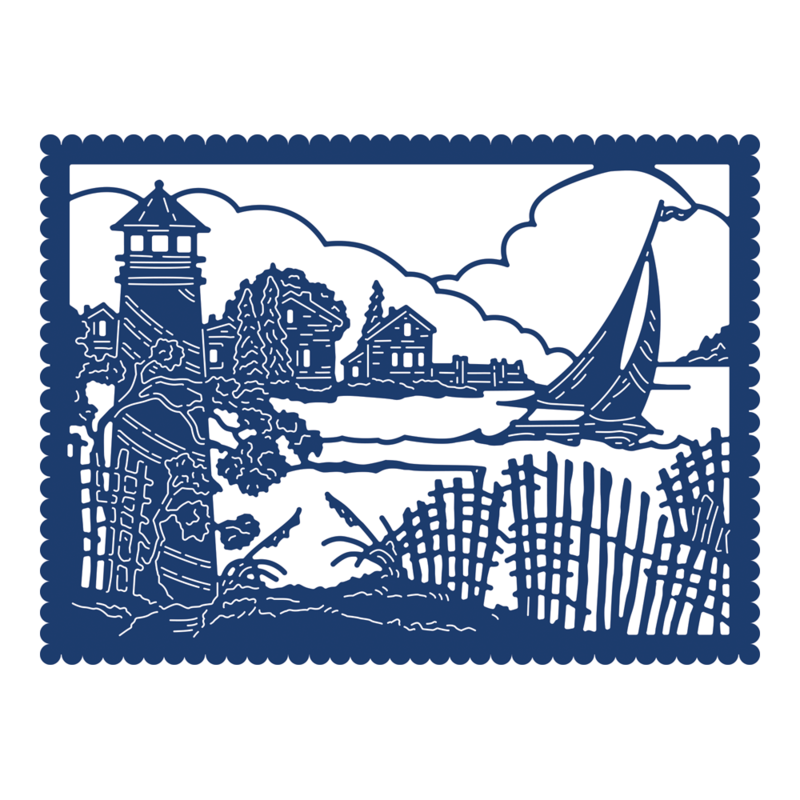 This tapestry die features a tranquil scene consisting of a lighthouse, yacht, lake and foliage. 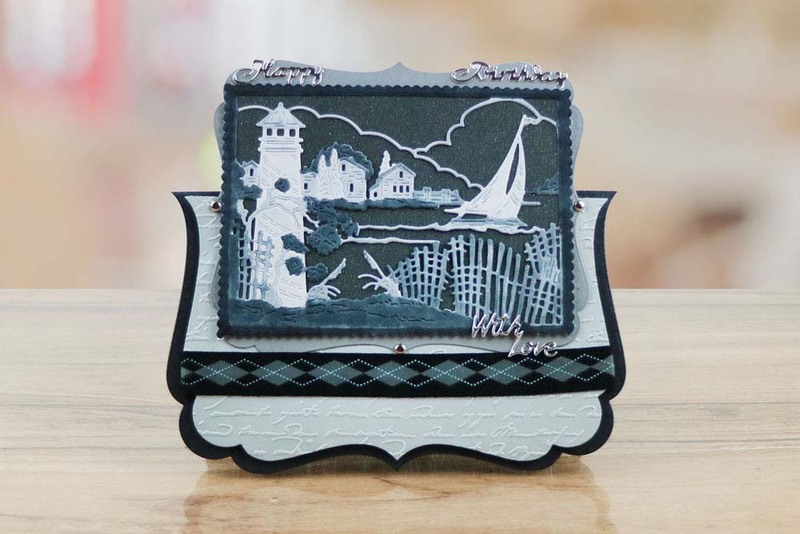 The size of the die and scene would be perfect to use as a postcard if you are on your holidays or enjoying a relaxing break over the summer. 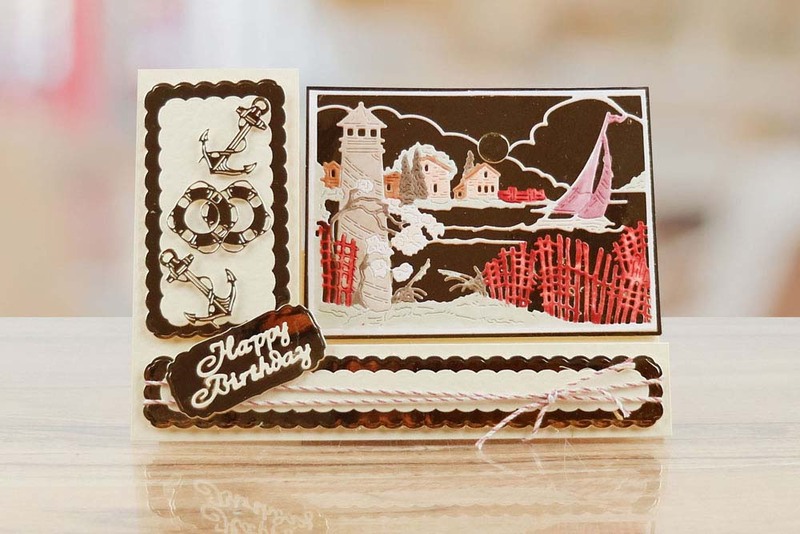 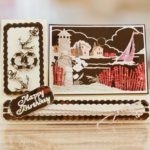 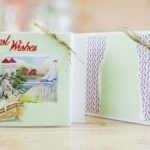 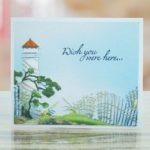 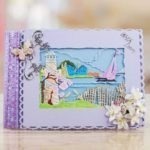 This die comes with a scalloped edge border which finishes off the scene perfectly but can also be used in many other ways for other projects. 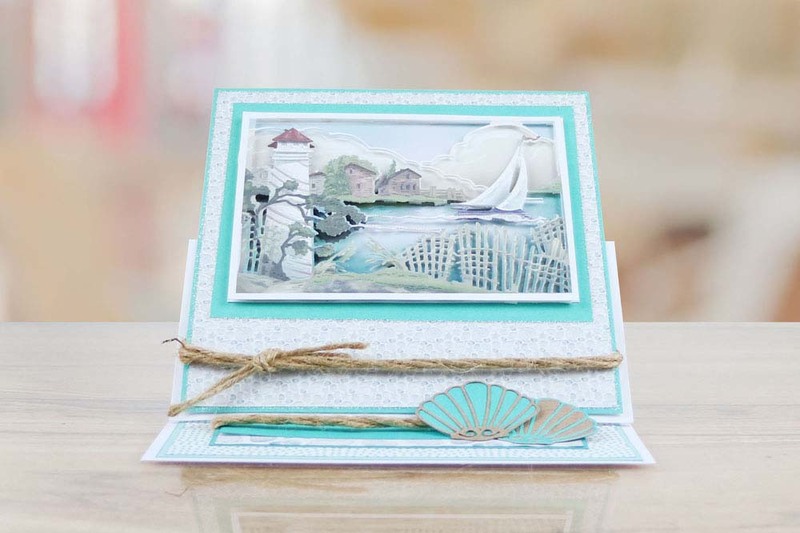 Switch up the design from day to night by using different coloured cardstock and bright heart craft lights.